UPDATE: Following the accommodation sale on 27 October 2018, Tipis for Glastonbury Festival 2019 are now completely Sold Out. Any cancellations will be offered in a resale in April 2019. Tipis have long established themselves as part of the annual landscape at Glastonbury Festival. 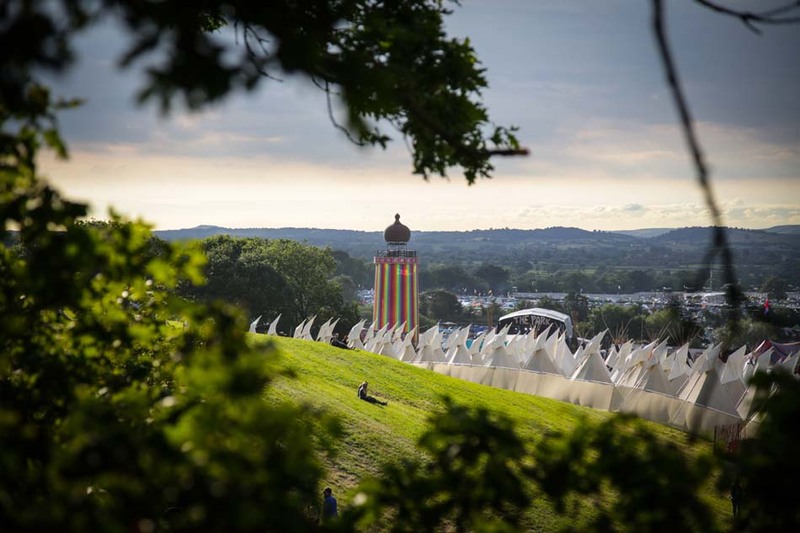 There are a limited number of Tipis available to hire for Festival-goers, in the Tipi Village near the Stone Circle and adjacent to the Park area of the Festival, offering spectacular views across the whole site from the hills. In 2019, the Tipi Village at Glastonbury Festival will once again be offering pre-erected 18ft Tipis on the Southern slopes of the Festival site – leaving you with nothing to carry home but your bags. Each Tipi can house up to 6 adults. A Tipi for Glastonbury Festival 2019 will cost £1075 to hire (Festival tickets not included). 2019 Tipi bookings will be taken by the Festival’s nominated booking agency, See Tickets, from 10am on Saturday 27th October 2018. In order to make an accommodation booking, you must already have a valid ticket booking for Glastonbury 2019. All prices are for five nights – Wednesday June 26th to Sunday June 30th, inclusive. Prices do not include Festival tickets. Everyone who wishes to stay at Worthy View must have a valid Festival ticket. Tipi dwelling is an incredible and elemental experience, but not a luxury one, so whilst the Tipis include a waterproof groundsheet, inner lining and rain catcher, you will need to bring your own bedding, mats, and any other necessary creature comforts. The Tipi Village has its own facilities including compost toilets and showers, plus there will be hot food and drinks available to purchase, a communal fire, and space around the Tipis to sit, and for children to play.